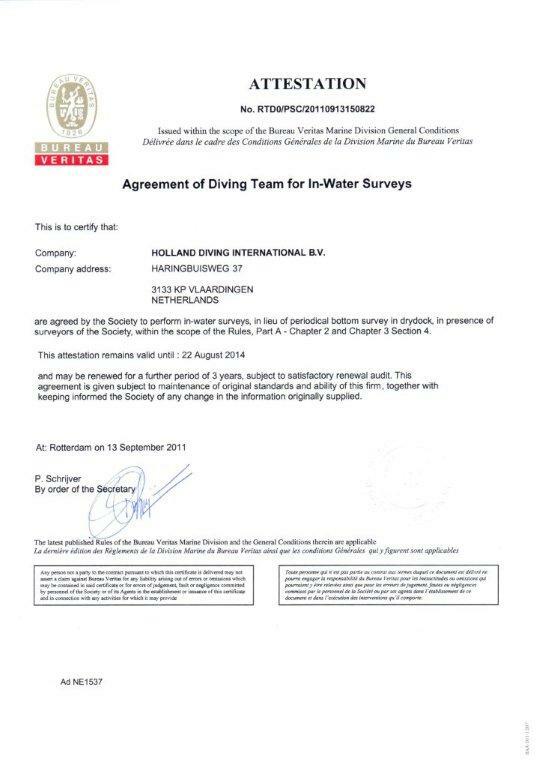 Holland Diving International BV is specialized, qualified and certified to perform all kinds of NDT works such as Ultrasonic, MPI, Eddy Current etc. 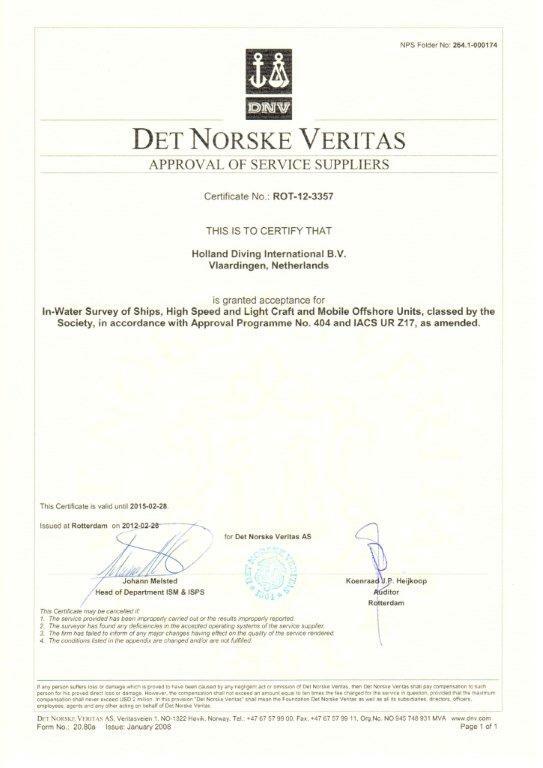 with in-house certified UW equipment. 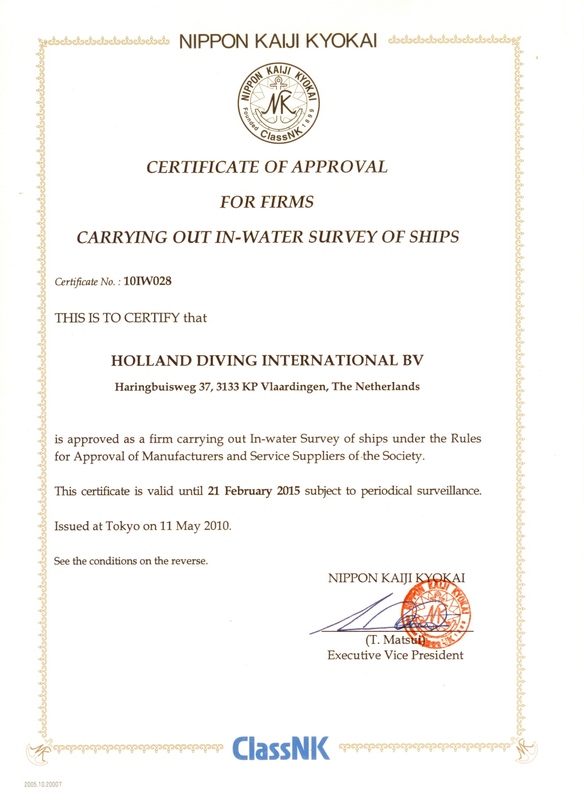 Holland Diving International BV has saved many lost cargoes using their diving equipment underwater still photography and digital video cameras. 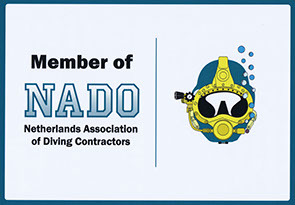 We are your partner for all your underwater jobs! 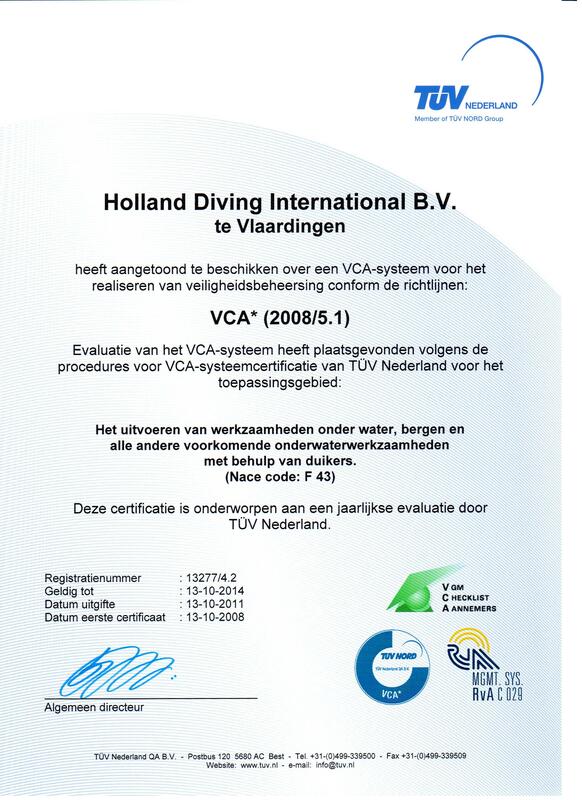 Holland Diving International BV is specialized in thruster exchanges . 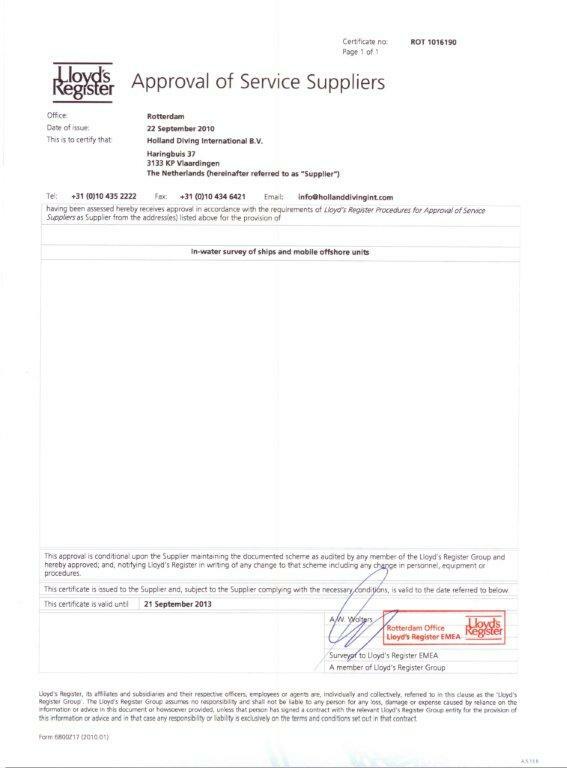 Using state of the art underwater equipment and container transport for rapid deployment whenever and wherever same is required by our clients/principals. 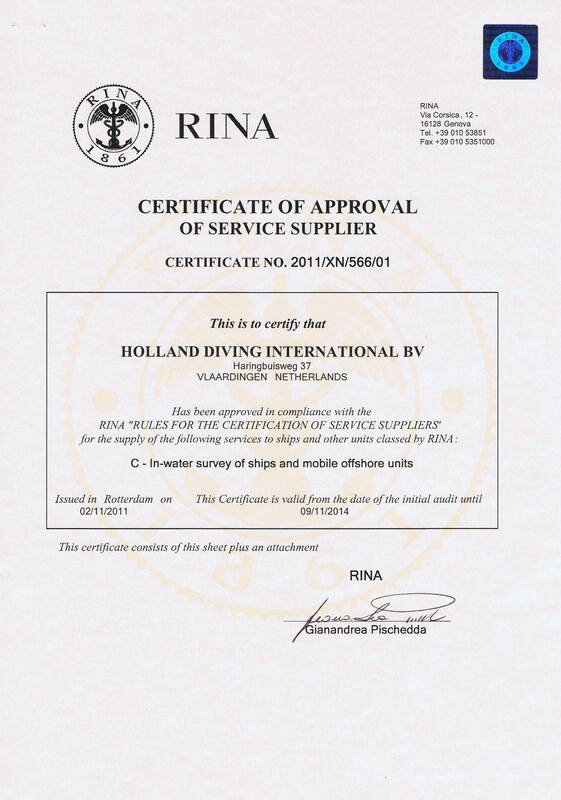 Holland Diving International BV has a worldwide network of support stations and reliable partners to perform high quality jobs and solve any problem. 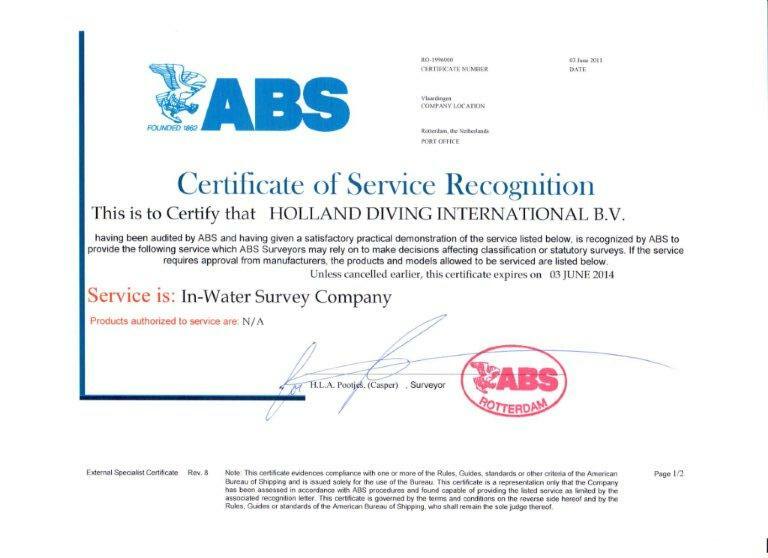 Holland Diving International BV offers a 24/7 service all days of the year to service our customers when needed for already for over 40 years!